Dayyan and almoner of Jerusalem; born at Safed; died at Jerusalem May 11, 1853. 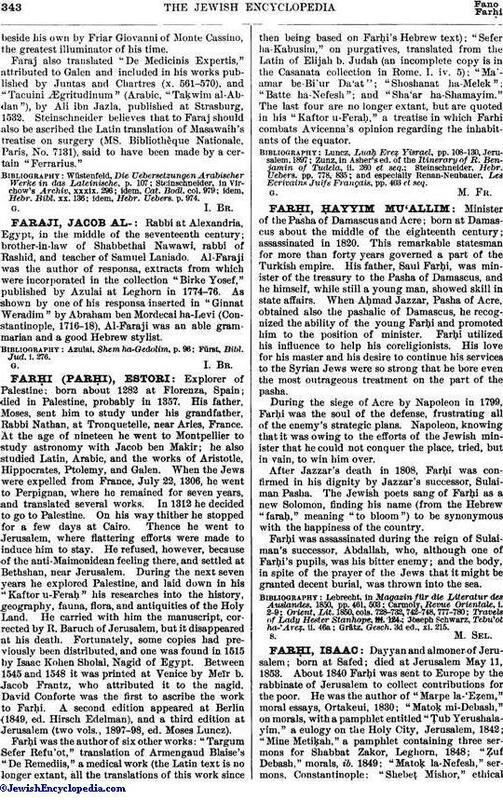 About 1840 Farḥi was sent to Europe by the rabbinate of Jerusalem to collect contributions for the poor. He was the author of "Marpe la-'Eẓem," moral essays, Ortakeui, 1830; "Matoḳ mi-Debash," on morals, with a pamphlet entitled "Ṭub Yerushalayim," a eulogy on the Holy City, Jerusalem, 1842; "Mine Metiḳah," a pamphlet containing three sermons for Shabbat Zakor, Leghorn, 1848; "Ẓuf Debash," morals, ib. 1849; "Matoḳ la-Nefesh," sermons, Constantinople; "Shebeṭ Mishor," ethicalessays and novellæ, ib. 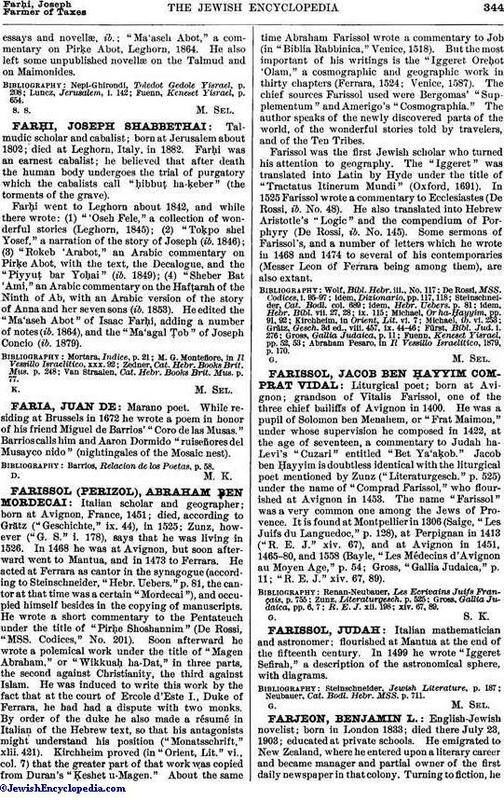 ; "Ma'aseh Abot," a commentary on Pirḳe Abot, Leghorn, 1864. He also left some unpublished novellæ on the Talmud and on Maimonides. Fuenn, Keneset Yisrael, p. 654.